Our Monroe township employment lawyers represent employees in all areas of employment law throughout the state of New Jersey. The Monroe sexual harassment lawyers of Smith Eibeler represent residents and individuals who work in Monroe and Middlesex County in claims of Sexual Harassment, Discrimination, Disability Discrimination, race discrimination, national origin discrimination, pregnancy discrimination, reasonable accommodations, severance agreements, Unemployment Appeals and wage payment violations. Our law firm is located in Monmouth County at the Bell Works building in Holmdel, New Jersey. Monroe township is a municipality within Middlesex County, which is located in central New Jersey. Monroe is bordered to the north by East Brunswick and Spotswood, to the west by Cranbury, to the south by Monmouth County, and to the east by Old Bridge. Monroe has a total area of 42.232 square miles, which includes 0.258 square miles of water, and is the largest municipality in Middlesex County in terms of area. The town is home to several parks, including Veteran’s Park Playground and Spray Park, James Monroe Memorial Park, and Monroe Township Soccer Complex. Monroe’s Public Library is located in the Municipal Plaza alongside the town’s municipal court. Monroe was established in 1838 and named after former President of the United States James Monroe. According to the 2010 Census, there are now 39,132 people, with 10,872 families, living in the town. The median age of Monroe residents is 53.2 years old, and is home to a large amount of age restricted communities for senior citizens. In 2010, the median income of Monroe households was $74,202. Various employers in Monroe include Cosmetics & Perfume Filling & Packaging Inc, JSM At Applegarth LLC, Thompson Park Zoo, and Forsgate Country Club. Monroe school district serves 5,831 students. Elementary schools in Monroe include Applegarth Elementary School, Barclay Brook Elementary School, Brookside Elementary School, and Oak Tree Elementary School. 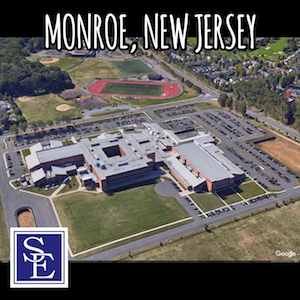 Monroe Township Middle School is the town’s middle school, and Monroe Township High School is the town’s public high school. Institutions of higher education in the area include Rutgers University and Middlesex County College. Famous persons who live or have lived in Monroe include Antonio Pierce, Edwin Stern, and Randy Beverly. Restaurants in Monroe include Ciro’s Ristorante Italiano, Garvey’s Family Restaurant and Pub, and Yimo Sushi and Hibachi. The Municipal Court of Monroe is located at 1 Municipal Plaza, Monroe Township, New Jersey. Our New Jersey employment lawyers can file a lawsuit and have it properly venued in Middlesex County Superior Court if one of the parties lives in Middlesex County or if the employer regularly conducts business within the county. Should you or a family member have an employment related legal issue and are in need of a Monroe Township employment lawyer, please call our office today to discuss the facts and circumstances of your employment related legal issue.